Not many people realize that morphine continues to circulate through circles of addiction today, long after its first uses in 1803. This highly addictive painkiller is one of the first products of the opium poppy plant used in medical care. In just a few uses, the drug leads people into addiction and life disruption. But through a quality morphine addiction treatment program at a morphine addiction treatment center, you can rebuild your life. In 2012, the Centers for Disease Control and Prevention noted doctors wrote 259 million prescriptions for morphine and similar opioid painkillers. Most morphine prescriptions go to cancer patients, people with severe injuries, end of life care and for post-surgical treatment. People abusing the drug crush tablets to snort them, chew them up or inject morphine liquid. Morphine addiction forms quickly. Dependence provides symptoms, including tolerance to the drug, withdrawal symptoms when you stop using it, unsuccessful attempts to quit, making your drug use a priority in life, and spending much of your time finding more morphine or preparing to use it. When you know your substance is ruining your life but keep using it, you suffer addiction. Withdrawal begins six to 12 hours after your last dose. The first day of detox brings depression, muscle cramps, and sleep problems. On day two you suffer diarrhea and breathlessness. You feel sick by day three as your symptoms worsen to a peak. The side effects of withdrawal slowly wear off after this peak. Through medically supervised detox you can end your morphine addiction. This detox takes about seven to 10 days. But staying clean requires specialized help, therapies and other treatments in a morphine addiction treatment program. Detox alone does not end your morphine addiction. You need the help of an accredited morphine addiction treatment program, such as Morningside Recovery in Orange County, California. This California morphine addiction treatment center holds accreditation by both CARF and the Joint Commission, so you know the treatment is of the highest quality. In your morphine addiction treatment program you need a wide variety of therapies. 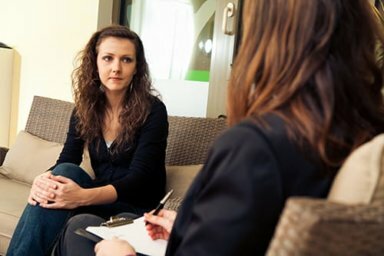 These therapies help you understand why you started abusing your drugs and how to avoid doing so in the future. You learn of these root causes, as well as any underlying mental illness like depression, anxiety, PTSD, panic disorder, bipolar disorder or other problems. Through this awareness, you learn of your triggers and temptations and how to use useful coping skills to prevent relapse. Therapies of a quality morphine addiction treatment center include individual, group, and family therapy. You also need behavioral, evidence-based, experiential, adventure and holistic therapies for a well-rounded mix of treatment. Through this array of therapies you strengthen in sobriety and gain the awareness, you need for strong, lasting sobriety. If you suffer co-occurring conditions of mental illness, you need specialized therapy for that, as well. This therapy takes place through dual diagnosis treatment, such as at Morningside Recovery. If you do not wish to recognize a spiritual connection to a higher power or you do not want to follow the 12 steps, a non 12 step drug rehab program provides this treatment. Morningside Recovery’s morphine addiction treatment center and morphine addiction treatment program is a non 12 step rehab program. For the help you need now, call Morningside Recovery at 855-416-8202. You can overcome your addiction with a morphine addiction treatment program. Start getting help today at your morphine addiction treatment center.